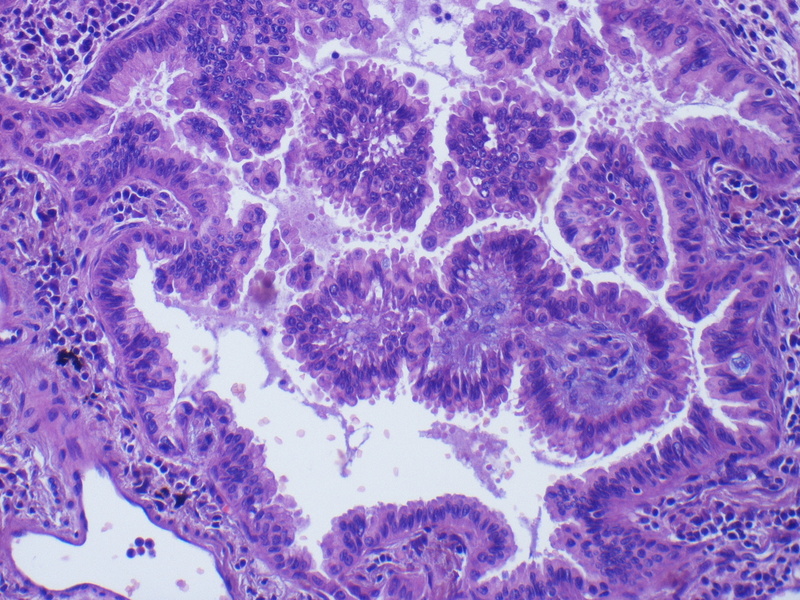 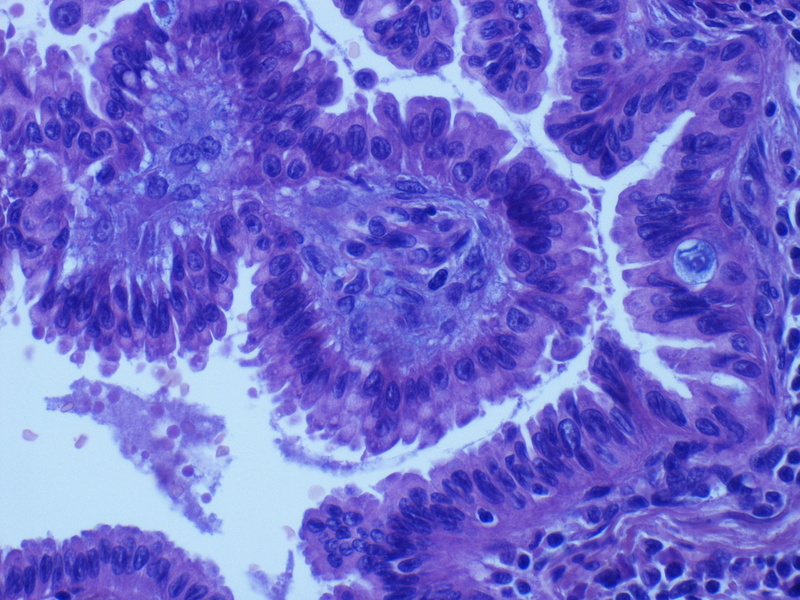 Papillary aggregates containing fibrovascular cores, lined by atypical cells with enlarged, hyperchromatic nuclei, prominent nucleoli and few intranuclear vacuoles. 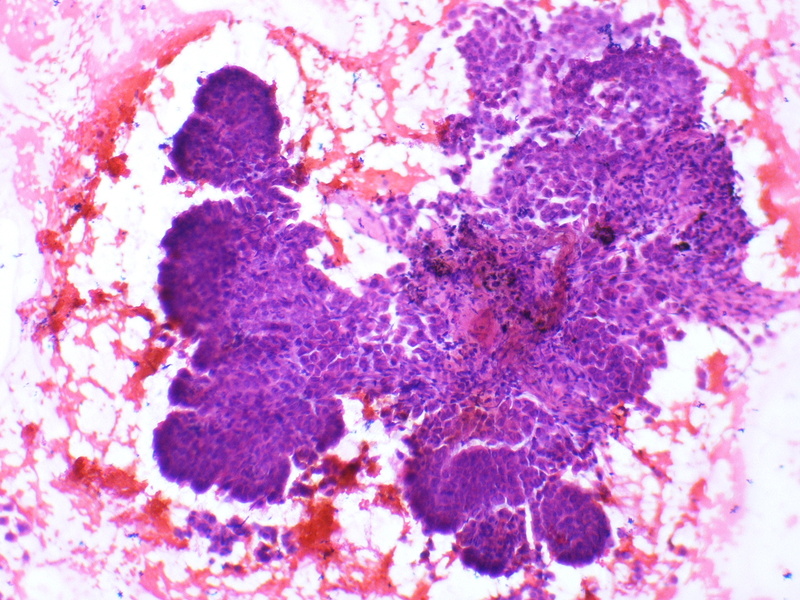 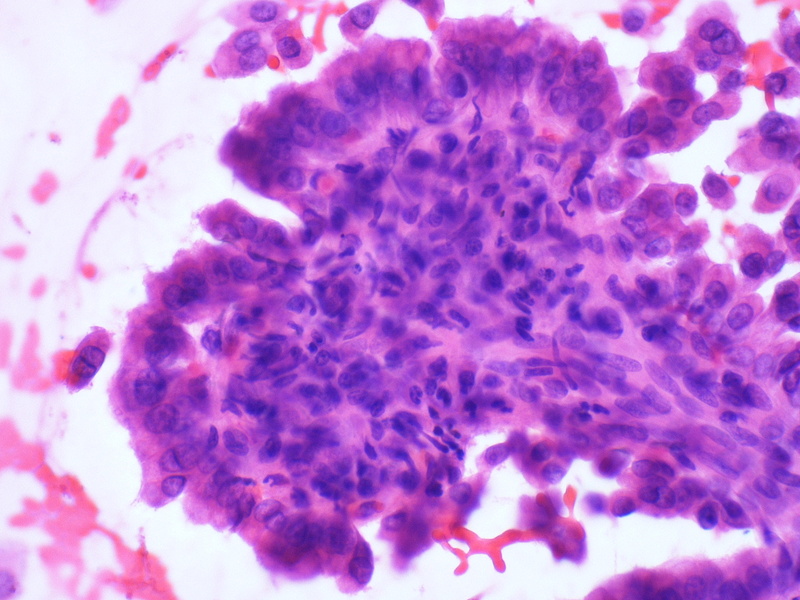 Pulmonary adenocarcinoma with papillary growth pattern. 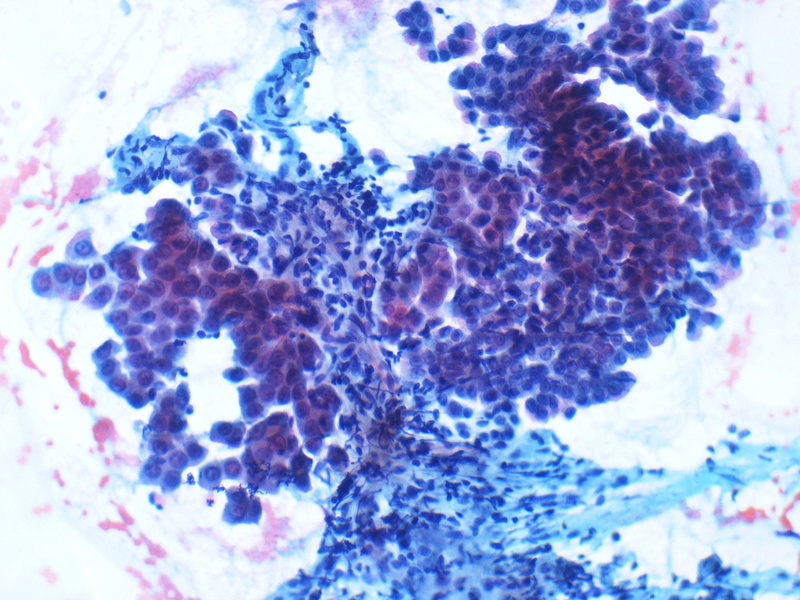 In most cases, areas of adenocarcinoma or bronchioloalveolar carcinoma can be identified. 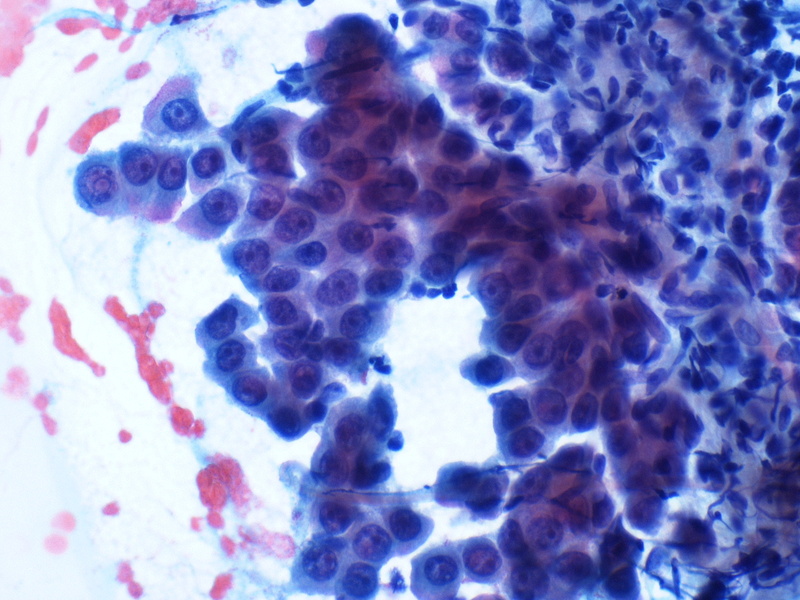 Pure form need to be distinguished from other types of tumours (Eg: thyroid gland or ovary).